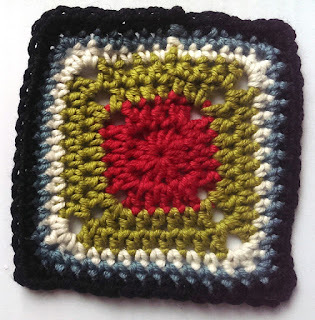 Here's our Week 4 pattern for our Crochet Along with Carol Meldrum! Today we got the Stripe Square in the Round for you to try. How are you enjoying the project? Feel free to let us know how you're getting on, or send us pictures of your progress. There are still plenty of squares to come, so feel free to get involved. Yarn packs can be purchased through our website, or show your individual streak with five of your own shades of Rowan Wool Cotton DK.